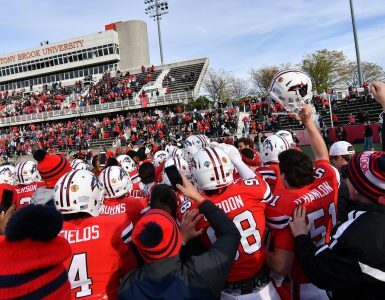 Stony Brook’s Center for Prevention and Outreach (CPO) from the Division of Student Affairs was one of 20 awardees nationally to receive the competitive 2018 Garrett Lee Smith Campus Suicide Prevention Grant from the Substance Abuse and Mental Health Services Organization (SAMHSA) to further Stony Brook’s mental health awareness and suicide prevention initiatives. 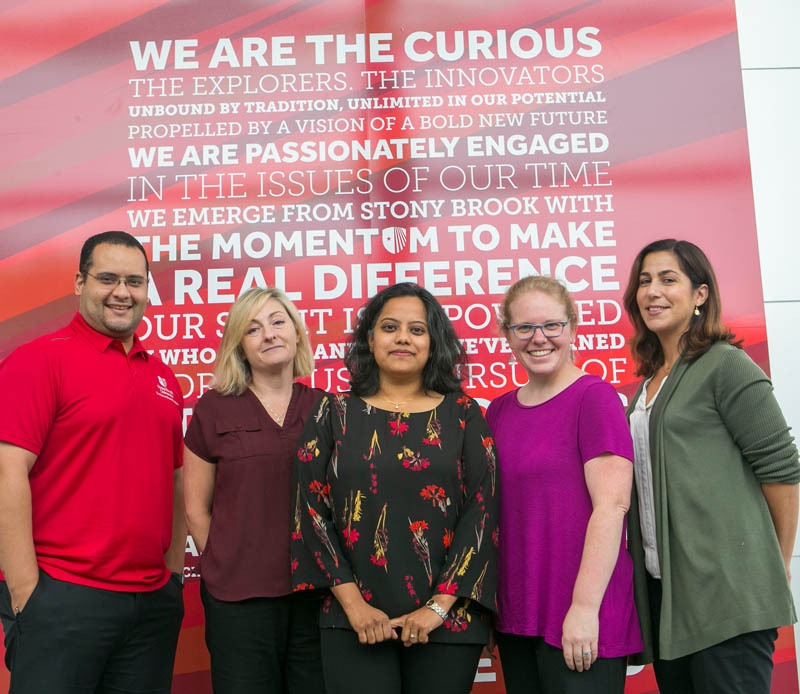 The $300,000 grant, authored by Dr. Smita Majumdar-Das, Director of CPO, and Ahmed Belazi, Director of Planning and Staff Development for Student Affairs, will be implemented over a three-year period. With guidance and support from Dr. Marisa Bisiani, Assistant Vice President forHealth, Wellness, and Prevention Services, the team is poised to educate, inform, and help students in need. CPO has been given this award before, and was able to secure it again after the organization extended grant applications to previous winners this year. “The SAMHSA grant affords us the opportunity to more proactively outreach to our student community at Stony Brook, enhancing our mental health support and suicide prevention efforts. 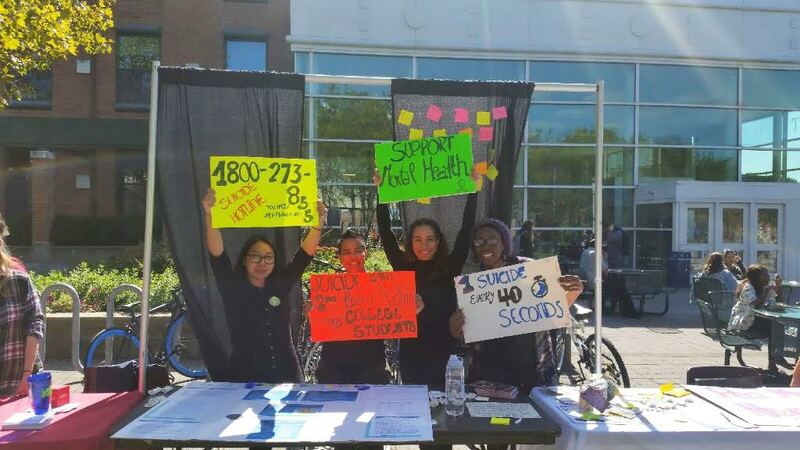 Our goal is to help Seawolves lead healthy, productive lives and eliminate any stigmas related to seeking out counseling and support services,” says Dr. Rick Gatteau, Interim Vice President for Student Affairs and Dean of Students. The grant adopts a Public Health approach to increase access to suicide prevention resources and diversify counseling services. 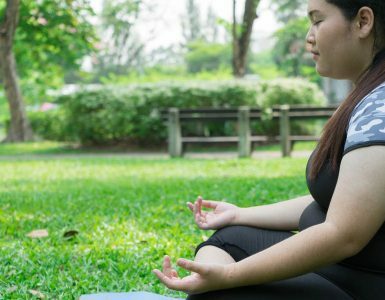 To do this, CPO is thinking “beyond the couch”, and in collaboration with Counseling and Psychological Services (CAPS), is looking to find more pathways for prevention and treatment such as telecounseling, wide-spread early risk identification through screening, strengthening on-and-off campus partnerships with other behavioral health providers, etc. The grant will further explore the utilization of behavioral science and technology to increase student mental wellbeing, help-seeking behavior and decrease stigma associated with mental health issues. The funds will allow the development of a social norms campaign using various electronic modalities, deploy evidence-based online trainings and resource guides for staff and faculty on recognizing and referring students in mental health crisis, and widely implement the Suicide Prevention Bystander trainings for all community members. 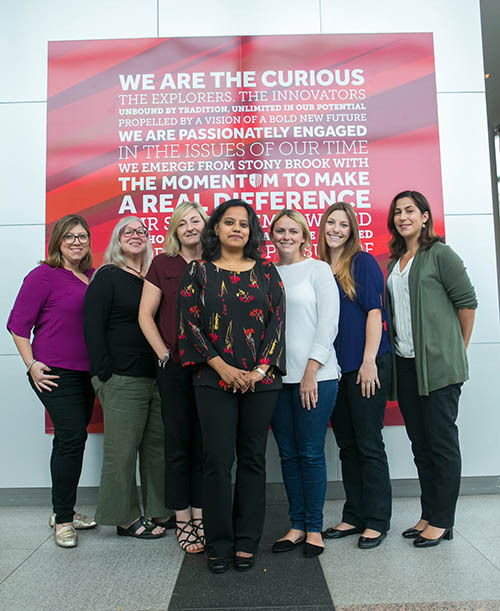 The Center for Prevention and Outreach team (left to right): Alana Marino, Chris Szaraz, Lara Hunter, Smita Majumdar, Kerri Mahoney, Samantha Winter, Danielle Merolla. The Center for Prevention and Outreach, in addition to suicide prevention and mental health initiatives, also promotes educational efforts to prevent sexual violence and reduce risks related to alcohol and other drugs. In the ten years of its existence, CPO has garnered a total of $2.1 million in grants from federal, state and private entities. September is National Suicide Prevention Awareness Month, and CPO, in collaboration with campus and community partners, is excited to launch a month-long calendar of events culminating in the Walk of Hope on Wednesday September 26 at 1 p.m. on the SAC Plaza. 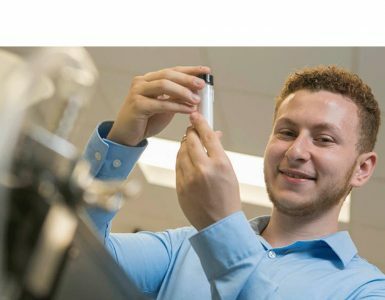 For more information, visit stonybrook.edu/cpo.